View from the back of our camper van in Iceland. By far the cheapest to see and stay around Iceland. It was about a month in when talking to a fellow traveler while in Minca Colombia, that we officially got deemed “Flashpackers”. Immediately our minds went to images of flashdance with scantily clad men packing their jockstraps. After that beautiful beat, it then dawned on us that we identify as a hybrid of typical backpackers and those who like to lux it up a bit: staying in some nice hotels as well as hostels, going on tours, eating in some fancy restaurants and in local markets, etc. Nic and I are “a little bit of lux.” We can stay in hostels for $20/night in a double private room with a shared bath or we can stay in luxury estancias with 600 thread count sheets for $130. We eat street food to save money, but then spend said saved money on a nice dinner somewhere else. We’re both in our late 30s, we’ve put in our time, and until recently lived in the most expensive city in the US. We’re beyond the days of sleeping in hammocks with 8-9 other people. We’re a couple that wants a private double room, which often times is the same price or a tad more than two beds in a dormitory. View from our amazing Airbnb in Guatape, Colombia…a splurge for sure. But totally worth it for Nic’s birthday weekend. At the very beginning of planning our great escape, we sat down and had long talks about how we wanted to travel. Because how you want to travel will greatly define how much you need to budget. Note this point is critically important if traveling with someone else. Spend the hour or two over a bottle of wine and ask each other, would you be up for sleeping in a hammock with 8-9 other people or is that a deal breaker? For us, it was. Do you need to have a private room? with a private bath? Are you OK with spending $60/night or more on a room? Would you be OK with spending $150 on a nice meal? Are the Galapagos a must? Are organized tours with guides and accommodations a must? If your answers are a resounding “Yes!” to the above, then welcome to the Flashpacker club. If not, that's cool too. You may lie somewhere in between or totally on the backpacker train. Just know this: do not feel ashamed of your style, the way you like to travel, or your budget. None of these say anything about who you are as a person. If anything, it gives you an idea of what type of travel experiences you might want or be able to afford. If you like staying in hotels and fine dining is super important to you, good for you, just know you might need to save a bit more to get the trip of your dreams. If you’d rather spend your money on partying and experiences and don't mind eating street food and sleeping in dorms, awesome sauce more power to you. Be proud of who you are. What is important is to know what's a priority and where your travel boundaries lie. The answer to these will help you to prepare a budget, savings, and travel plan. (See our article on Budgeting and Saving for a year off). Regardless of your preferences, we try to include options for all types of travel budgets in our guides and articles, indicating which are budget, middle, and “lux” options. 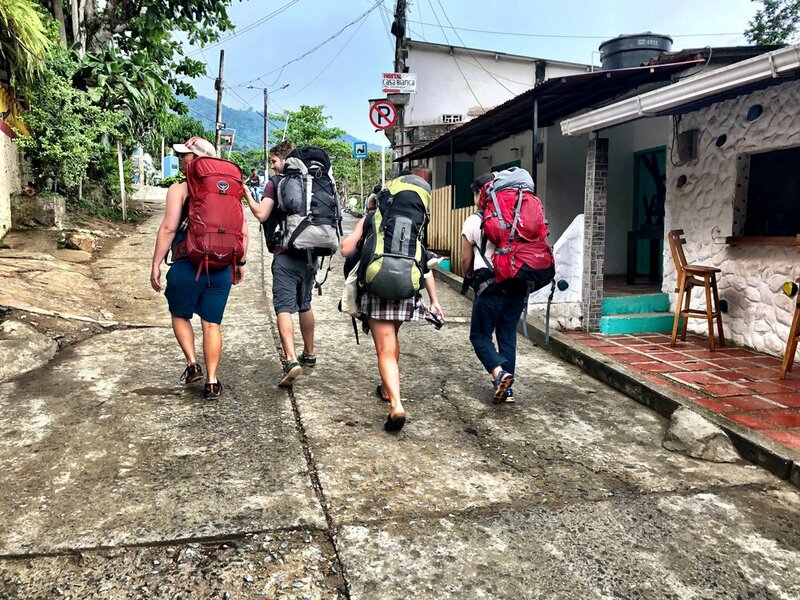 Band of backpackers in Minca, Colombia heading to the most amazing and cheap hostel there—Hostal Casa Loma Minca. So what style do you think you are? What are deal breakers for you when traveling? How to pack for 6+ months of travel..